College is definitely a great time. However, it also poses a lot of risks. The long nights studying, for example, can be very unhealthy. This is why health insurance should be one of the primary things to prepare for at this age. This depends on your parent’s coverage. There’s a chance that you could remain covered until you’re 26. Of course, you can’t rely on this alone. You have to check on the coverage as well. You may need additional coverage that protects you beyond what this offers. Some schools offer basic insurance coverage to their students. This is often the most affordable option at this point. But this also means that you have very limited coverage. Both CHIP and Medicaid offers coverage for college students. But there is a process to be followed. You would have to be pre-qualified first. Once qualified, your coverage starts immediately. A local brokerage will also be able to offer you insurance coverage. You can tweak your coverage plan depending on your budget and your needs. Knowing that you have a few options, there’s no way you can’t get covered. Of course, it is best to find the best coverage possible. Just think about the amount of stress that one gets during college. This can affect your health greatly. So better be prepared for anything that could happen. 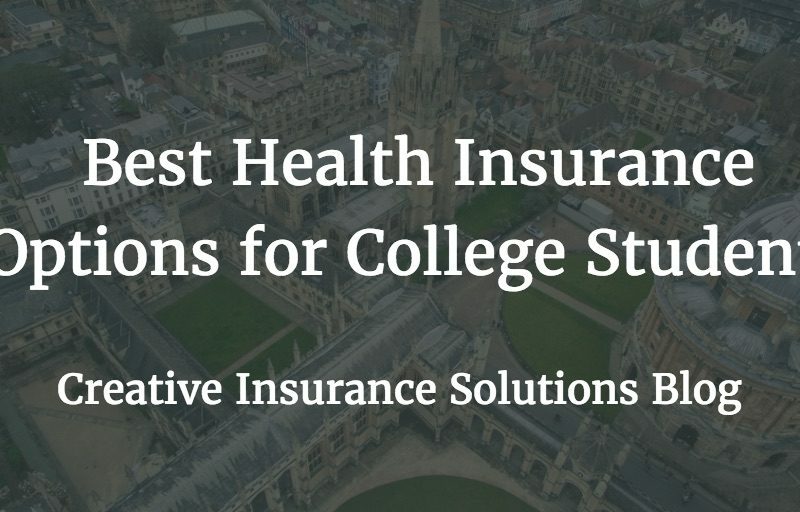 So what’s the best way for college students to get the kind of coverage they need? The answer is evident. Get health insurance in Buford, Georgia through a local agent. There is always an impression that a local agency or brokerage will be more expensive. But that’s not always true. Through a local agency, you can have a policy that’s tailor-fit for what you need. You can get the BEST possible coverage for the budget you have. It’s something personalized – a policy that’s just right for you. You see, it’s not always about the amount. It’s also about the value you get out of it. A local health insurance agency will be your best bet in getting top value. Interested in getting yourself protected for college life? To schedule an appointment to evaluate your choices, call or email us today. We’ll personalize a plan that fits you the most.